This giant 10mm clear lens UV LED causes scorpions, invisible inks, and certain minerals to glow brightly. 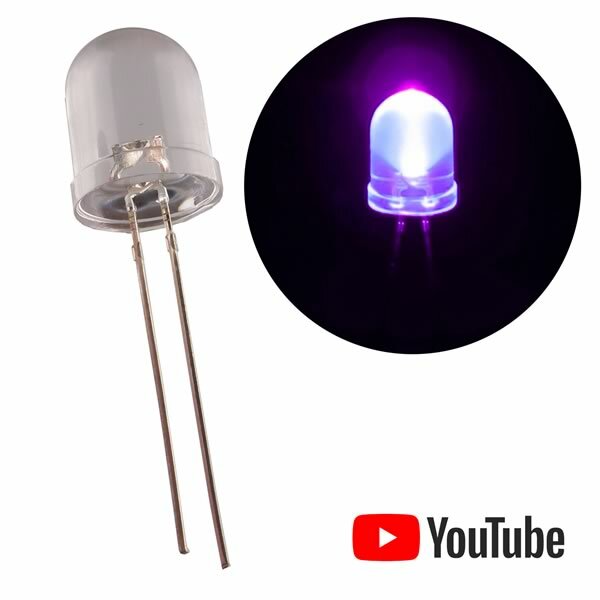 Made of InGaN, this LED requires 3.4V@20mA. Its wavelength is in the 400-405nm range and its intensity is over 10,000mcd. The viewing angle is 12°. This is one of the most powerful UV LEDs we have ever sold. Sold in a package of 5.